The sixth annual Florida Loquat Festival will be Saturday March 23, 2019. Mark your calendars and make arrangements now to join loquat fans from around the state at Frances Avenue Park in New Port Richey. The 2019 Loquat Festival will be March 23 (9:00 a.m. to 2:00 p.m.) at Frances Avenue Park, New Port Richey Florida. The program will be 10:00 a.m. to 2:00 p.m. The fifth annual Loquat Literary Festival will be from 1:00 to 2:00 p.m.
For more details on the 2019 festival, read further in this issue of FLN. Also, by the way, if you have a loquat poem, please submit it for the literary festival and for publication in Leaves of Loquat. Sponsorship of Leaves of Loquat and the Loquat Poetry Festival is welcome. Contact Ecology Florida for details on sponsorship. Volunteers at East Madison Groves enjoyed the first ripe loquats on January 20 this year. They were a little tart, as is typical of first fruits, but they were delicious and signaled the approach of spring, and harvests of our most treasured fruit. The fruit was discovered on the old tree called by locals, “Little Sister,” an offspring of the ancient tree, called “Grandmother.” The first small harvest was on February 4, 2019. Loquat growers and those involved in the loquat food-production industry are alerted to the potential for a large harvest this year. We are early in the fruiting season and trees around central Florida are covered with flowers, fruitlings, and young fruit. In the area around New Port Richey, the trees appear to be very heavily flowered with abundant fruitlings, already. One of our main groves, East Madison Groves, has more flowers than in previous years. There are also plenty of fruitlings on the trees – see image from January 26, 2019, on cover. Look for the first ripe fruit – they are appearing now on early many trees. Friendship Farms also has more fruitlings than in previous years. The volume is remarkable. If we can avoid a hard freeze (below 27 degrees), we should have an abundant harvest. The latest date for a freeze in our area late January to early February, depending on the source consulted. If you are a grower or a canner or use loquats in food production activities, be advised: The first major harvests of fruit will likely occur in mid-February. If you have trees, take a moment and check to see if fruitlings have appeared. You should certainly have flowers by now, and many growers will have large quantities of fruitlings. Some will have the first ripe fruit. Check for buds (at the tips of branches), fruitlings, and fruit. By this time of the year there should be some fruit ready for harvest on early varieties. Loquats bud and flower at different times – anywhere from early summer to early spring. True. At East Madison Groves, the first buds appeared on June 2, 2018 and the first flowers on June 22. Most trees in the grove are still flowering (as of February 5, 2019). They continue to flower well into the early spring. What is remarkable, and a gift from Mother Nature and these trees she has shared with us, is that that a single tree will bear fruit for several months. Fruiting is not a one-shot deal with Loquats. By January and February, a single tree may have buds, flowers, fruitlings, ripe fruit all at the same time. Ripe fruit can be harvested now, and those flowers of today will yield fruit that will not ripen until April or even May. Imagine that: a tree that produces fruit from February to May! 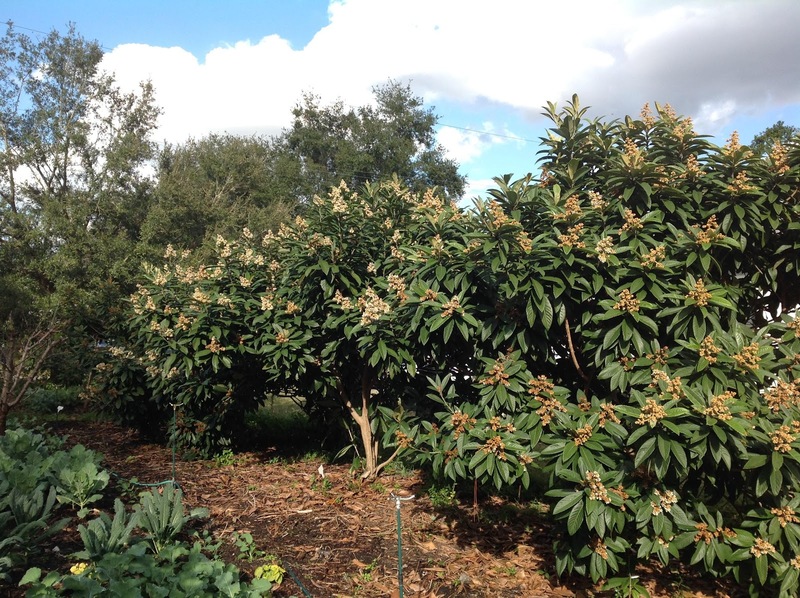 This year’s Florida Loquat Festival will be March 23, 2019 (9:00 a.m. to 2:00 p.m.), Frances Avenue Park, New Port Richey Florida. The program will be 10:00 a.m. to 2:00 p.m. There are new additions planned for 2019. Here are some of the details and opportunities. Volunteers Welcomed If you would like to volunteer to assist in setting up the event or during the day of the festival, please let us know as soon as possible. Canners Sought We are also looking for folks to prepare and sell preserves. As many of you know, one of the traditions of the Loquat Festival is selling out of all the jellies, jams, compotes, canned halves and slices. That is a tradition we would like to bring to an end in 2019. Every year there are more preserves than the previous year, and every year all are sold before the festival is over – last year nearly 600 jars were sold long before the festival concluded! There are no fees for loquat vendors, canners, or bakers. 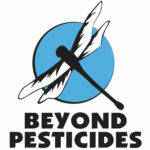 If you are making food products from loquats, or sharing the fresh fruit, please join us. All income received is yours. We will be very happy to receive a 10% donation from your sales, if you are successful. If you plan to join us, please contact us as soon as possible to reserve your space. The Florida Loquat Festival is seeking one-page poetry or prose submissions for a reading held at Frances Avenue Park in New Port Richey, Florida on March 23, 2019. We welcome all styles and forms as long as loquats are the subject or central image. Submissions are open to all writers and not restricted to professional poets. We encourage and welcome submissions from anyone who wishes to participate. There will be prize packages awarded to first ($100), second ($50), and third place ($25). Awards will also include publication in Leaves of Loquat, and other small complimentary favors. All authors are invited to read at the event in beautiful Frances Avenue Park and will be published in the annual chapbook, Leaves of Loquat, which will be presented in the winter during a public event. Lastly, any time remaining after the reading will be open to the public for an open mic where all ages and levels of experience are welcomed and encouraged to participate. Deadline is March 10, 2019. Writers can submit up to three poems. If making more than one submission, send all in a single document. Include brief bio sharing your writing experience/ publications, if any, todechant@usf.edu You can also mail submissions to Friendship Farms & Fare, PO Box 596, New Port Richey, FL 34655-0596. Deadline March 10, 2019. Accepted submissions notified upon acceptance. Live Music The 2019 festival will include live music. Planners are close to making a decision on the talent. Watch for more information in the next issue of the News. Three New Features (tentative) We don’t want to get anticipation too exaggerated, but it is possible that we will have some unique loquat beverages at this year’s festival, and possibility a choral group. Tentative Program This year we are expecting to have presentations on a wide variety of products: making loquat preserves, medicinal uses of loquats, creating loquat tea (along with samples), grafting loquat trees, the place of loquats in a food-producing yard, loquat festivals from around the world, and many others. As many readers know, Suncoast Credit Union has long been an important supporter and contributor to the Florida Loquat Festival. For this year’s festival, Suncoast Credit Union has made an especially generous contribution to the festival – becoming the first Major Sponsor of the event. Please stop by the Suncoast Credit Union booth at the festival and say hello. Also, consider stopping by a branch location and reviewing their products. The Florida Loquat Festival is pleased and honored to have the support of Suncoast Credit Union. Like all of our sponsors and supporters, Suncoast Credit Union is a local organization with a deep and long-term commitment to the community. Besides Suncoast Credit Union, the festival is thankful for committed supporters for 2019: The Hook Law Group, Maharajh Acupuncture and Herb Shoppe, The Central, S.I. Electric, the Rotary Club of New Port Richey, Natural Choice Pest Control, Wright’s Natural Market, The White Heron Tea & Gifts, and New Port Richey FarmNet. The Florida Loquat Festival is an annual agrarian event in New Port Richey, Florida, which promotes food sovereignty and celebrates this unique place in the world, its food system, and the people who have made a commitment to both. We are all reminded that the Loquat Festival is a celebration of seasonal fruit grown in and around the Springs Coast Watershed. The quantity of fruit at the festival is based largely on regionally available production. In this way, the Loquat Festival harmonizes with other seasonal food celebrations in New Port Richey, including the Okra Occasion in late summer, the Sweet Potato Round Up in the fall, and the Collards Festival in early to mid-winter. We call these events, the Agrarian Quartet. For every food there is a season, and we have found an excellent locally-grown product for each of the four seasons of this part of Florida. Loquats, Okra, Sweet Potatoes, and Collards – our Agrarian Quartet. We do not aim to make these events bigger and bigger every year (although they all continue to grow in attendance and vendors), we aim to make them better and better very year. Unlike many other festivals in Florida, our aim is not to make these festivals a distraction, a carnival, a concert venue, or a flea market. Rather, through these festivals we seek to rediscover the sources of our existence – our seasons, our local food system, the place we call home, and all our neighbors: humans, animals, and plants. Some of you may remember the lovely little Yahuda specimen featured in the September issue of the News. Well, the young tree is thriving, and its human family sent more images. The tree is already flowering and shows every indication of bearing a large quantity of fruit. We will keep you posted on the success of this little gem, planted just last fall. If you or your business would like to support this year’s festival, please let us know, and we’ll send you our supporter package. You can contact us through the Ecology Florida website. If you leave a phone number, we’ll give you a call. We are convinced that there are real business opportunities available for enterprising folks who want to develop commercial ventures using loquats. Our festival has shown there is a market for a wide range of loquat products – from fresh fruit during the season, trees year round, to pies and other pastries (including cookies!) – and of course, preserves of all varieties. Harvesters can also prosper during fruiting season, and growers and cultivators throughout the year. By the way, did you know you can make wine, tea, and beer from loquats? We are now in contact with local artisans working on formulas to craft just such libations. 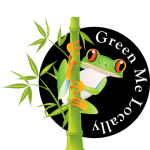 Ecology Florida, Inc. is a not-for-profit organization, with 501(c)(3) designation. Contributions to Ecology Florida, Inc. are tax deductable under section 107 of the Internal Revenue Code. Ecology Florida is a registered charitable organization in the state of Florida. Registration number, CH 33333. A COPY OF THE OFFICIAL REGISTRATION AND FINANCIAL INFORMATION MAY BE OBTAINED FROM THE DIVISION OF CONSUMER SERVICES BY CALLING TOLL-FREE (800-435-7352) WITHIN THE STATE. REGISTRATION DOES NOT IMPLY ENDORSEMENT, APPROVAL, OR RECOMMENDATION BY THE STATE.